Garden design and Landscape contractors, Jackson’s Landscape Design, are based in Newton Abbot, Devon, UK and are very proud owners of six Southwest regional accolades issued by Marshalls for excellence in landscaping, driveway installations, patio, paving installations and most creative use of a Marshalls product. 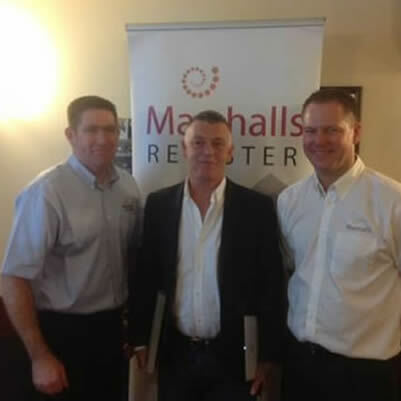 We are proud to have received six regional awards to date, at the Marshalls Register Southwest regional awards. 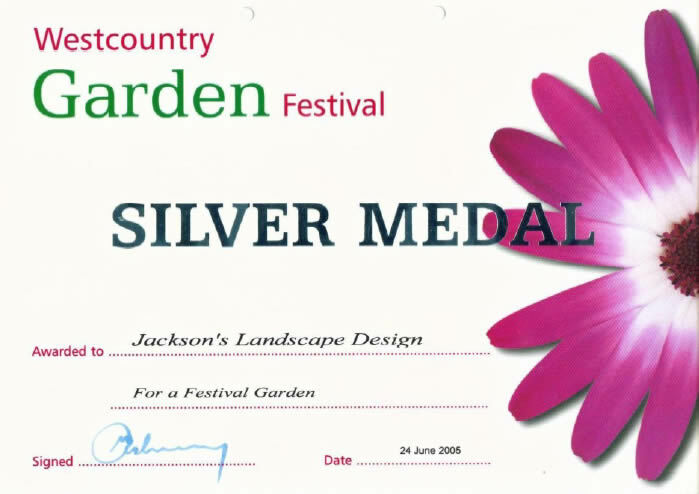 Speaking of the Jackson’s award, David Jessop, Operations Manager, Marshalls Register, said: “I am delighted for Kerry Jackson of Jackson’s Landscape Design, Devon in receiving this Award. 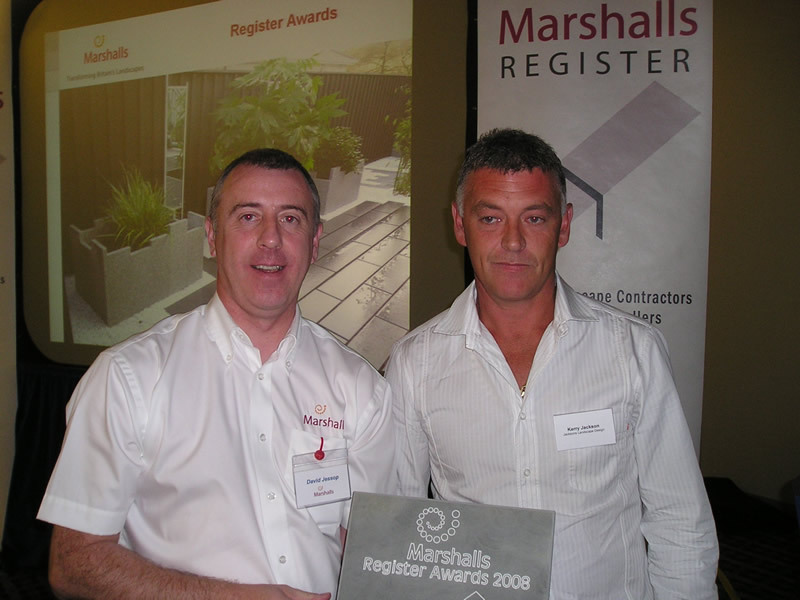 What Marshalls said: “Congratulations to Jackson’s Landscape Design based in Newton Abbot who collected three awards at the recent Marshalls Register Awards. Best patio transformation, most creative use of Marshalls’ products and best use of a new Marshalls’ product in the South West. The winning project for the first two awards consisted of a patio consisting of Marshalls Eclipse Granite in two colours which were combined to create a modern external living space. Commenting on the winning project Marshalls Register Operations Manager David Jessop said: ‘This was a brilliantly executed patio which employs cutting edge design and stunning contemporary materials to provide an outside room that beautifully compliments the style and location of the property. 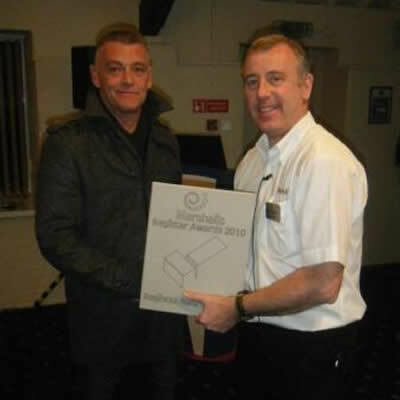 The Awards organised by Marshalls plc, the UK’s leading hard landscaping manufacturer, were created to celebrate excellence in hard landscaping design and installation within its membership of Registered Installers. 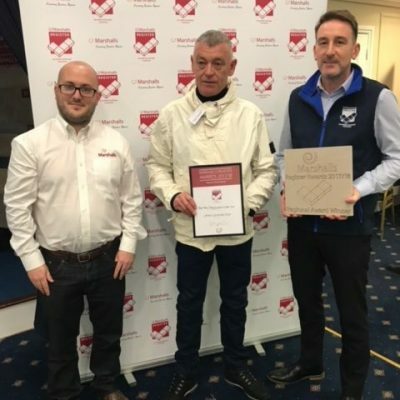 Covering a range of categories from ‘Best Patio’ to ‘Best Use of Marshalls Ethically Sourced Haworth Moor Sandstone’, the Awards attracted several hundred project submissions from its 1000 strong associated Member companies from all around the UK. Having recently won an accolade for the best garden in the South West of England, I’m extremely honoured to be shortlisted for the UK Landscaping finals on 23rd February 2018. 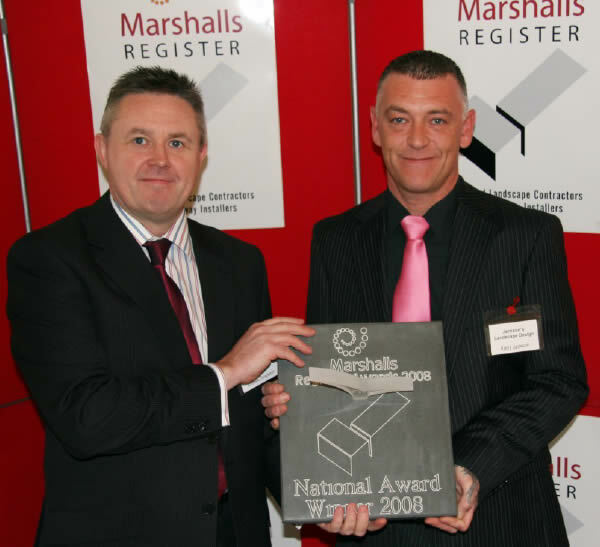 Only the UK’s best landscapers are invited for winning a National award. 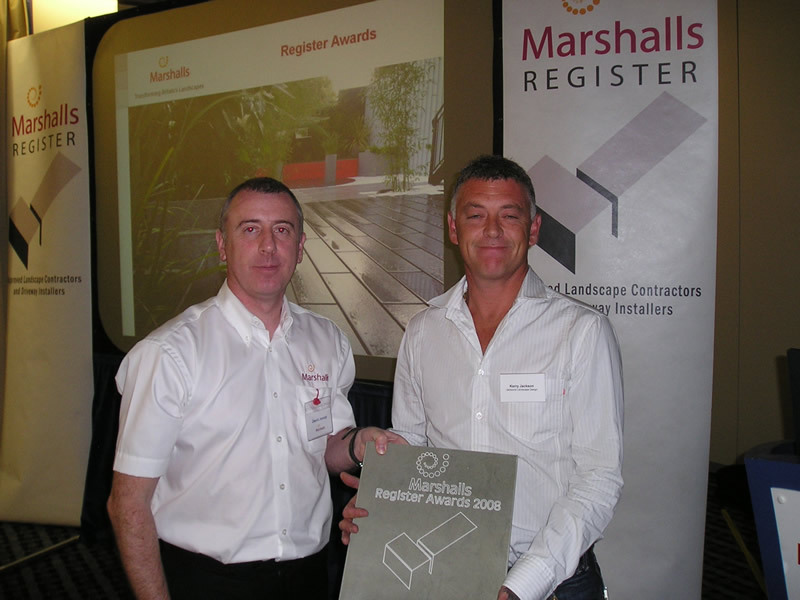 We are also proud to have been awarded nationally for our creative contemporary gardens using a Marshalls product, these awards are very prestigious and not issued to any Marshalls registered contractor with out a very good reason. Speaking of the Jackson’s award, Chris Harrop, Marshalls Group Marketing Manager, said: “This project is a very contemporary design which demonstrates that both hard and soft landscaping can reflect cutting edge aesthetics but still give a very practical but effective garden enclosure. The design reflects the strength of the designer’s intention and the workmanship is of a very high standard in order to meet the demands of that intention. 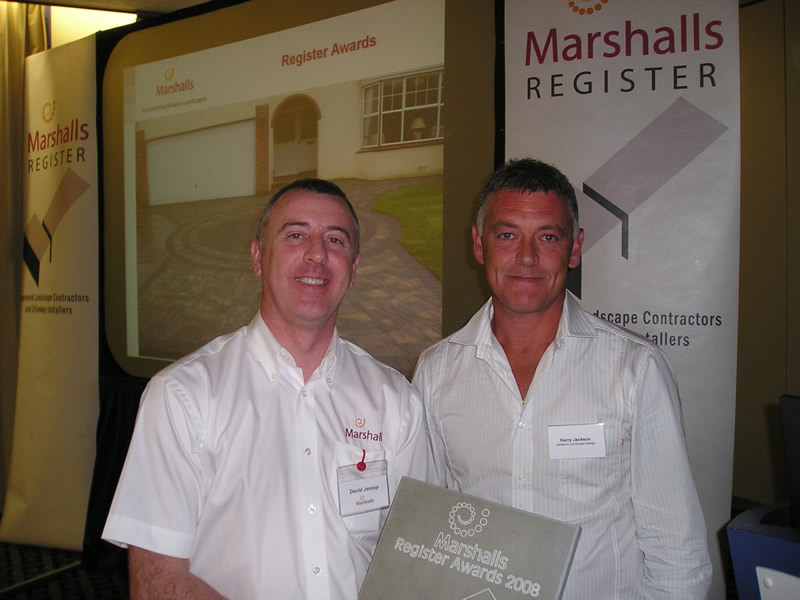 The Marshalls Register of Approved Landscape Contractor and Driveway installers is a national network of highly reputable professionals, All are independent businesses and are strictly vetted by Marshalls to ensure that the highest possible standards of installation are maintained. Westpoint arena, Exeter, Devon awarded silver for the “Use your own mind ! !” contemporary show garden designed and installed by Jackson’s Landscape Design. Consisting of Dicksonia, Ligularia ‘Britt-Marie, Astilbe ‘Montgomery’ and deschampsia. Black sleepers contrasts the white Travertine paving and bespoke stainless steel planters and water feature, with floating swirling oil / water feature, whilst slate platforms float on the surface in stainless steel pots. Beautiful deschampsia synchronise their movement whilst dancing with the wind.